Actor Jung Suk Won screams happily with ‘Yong Sul disease’. Jung Suk Won is playing the role of best swordsman warrior in Joseon Dynasty in SBS Wednesday and Thursday drama “Rooftop Prince” who protect Crown Prince, Woo Yong Sul, demonstrating a variety of acting skill and sincere and funny look. In addition, fans who saw the quiet but funny Jung Suk Won were infected with “Yong Sul disease,” and giving support to him. Recently on the SNS of Jung Suk Won, the messages of support for Yong Sul have been continuous. 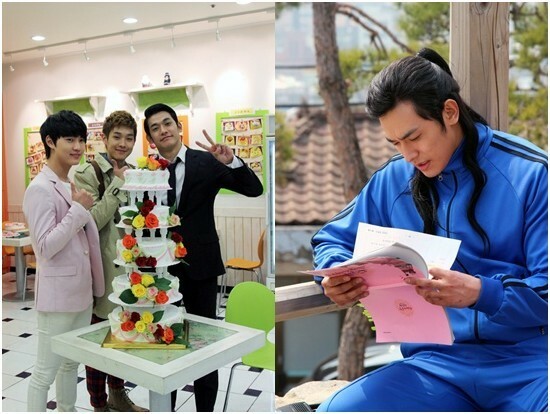 At the same time, the funny screenshots of Woo Yong Sul in “Rooftop Prince” were published. Meanwhile, Jung Suk Won tweeted on his Twitter account on April 20th, 2012, “Thanks for the screenshots, I know you don’t leave during the broadcast, so sleep with peace of mind.” He conveyed the gratitude using the tone of Woo Yong Sul in the drama, attracting attention. On the other hand, Jung Suk Won appeared in “Discovery of Live” segment of KBS2’s “Gag Concert” on April 15th, 2012, bringing laughter to audience.